Until the focus expands to data protection, backup is alive! Until the focus expands to data protection, backup is staying alive! This is the first of a three-part series discussing how and why vendors are keeping backup alive, read part two here. Some vendors, Value Added Resellers (VARs), pundits (consultants, analysts, media, bloggers) and their followers want backup to not only be declared dead, they also want to attend (or send flowers) to the wake and funeral not to mention proof of burial so to speak. Yet many of these same vendors, VARs and their pundits also are helping or causing backup to staying alive. Sure there are plenty of discussion including industry adoption and customer deployment around modernizing backup and data protection that are also tied to disaster recovery (DR), business continuance (BC), high availability (HA) and business resiliency (BR). On the other hand the usual themes are around talking about product or technology deployment to modernize backup by simply swapping out hardware (e.g. disk for tape, cloud for disk), applying data footprint reduciton (DFR) including archiving, compression and dedupe or, another common scenario of switching from one vendors tool to another. How vendors are helping backup staying alive? 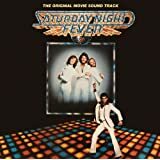 One of the routine things I hear from vendors among others is that backup needs to move from the 70’s or 80’s or 90’s to the current era when the John Travolta and Oliva Newton John movie Saturday Night Fever and the Bee Gees song "Stayin Alive" appeared (click here to hear the song via Amazon). Some vendors keep talking and using the term backup instead of expanding the conversation to data protection that includes backup/restore, business continuance (BC), disaster recovery (DR) along with archiving and security. Now let’s be that we can not expect something like backup to be removed from the vocabulary overnight as its been around for decades, hence it will take time. Until there’s a broad focus on shifting to and using the term data protection including backup, BC, DR and archiving, people will simply keep referring to what they know, read or hear (e.g. backup). On the other hand if the industry starts putting more focus on using data protection with backup, people will stat following suit using the two and over time backup as a term can fade away. Some of the modernizing backup discussions is actually focused on take a step back to reconsider why, when, where, how and with what different applications, systems and data gets protected. certainly there are the various industry trends, challenges and opportunities some of which are shown below including more facts to protect, preserve and service for longer periods of time. Likewise there are various threat risks or scenarios to protect information assets from or against, not all of which are head-line news making event situations. There is an old saying in and around backup/restore, BC, DR, BR and HA of never letting a disaster go to waste. What this means is that if you have never noticed, there is usually a flurry of marketing and awareness activity including conversations about why you should do something BC, DR and other data protection activities right around, or shortly after a disaster scenario. However not all disasters or incidents are headline news making events and hence there should be more awareness every day vs. just during disaster season or situations. In addition, this also means expanding the focus on other situations that are likely to occur including among others those in the following figure. Continue reading part two of this series here to see what can be done about shifting the conversation about modernizing data protection. Also check out conversations about trends, themes, technologies, techniques perspectives in my ongoing data protection diaries discussions (e.g. www.storageioblog.com/data-protection-diaries-main/).